International Hotel Casino & Tower Suites را به صورت آنلاین رزرو کنید! جهت اقامت در گلدن سندز از تاریخ چهارشنبه ۱۱ اردیبهشت ۱۳۹۸ به مدت 1 شب، 22 هتل یافت شد. 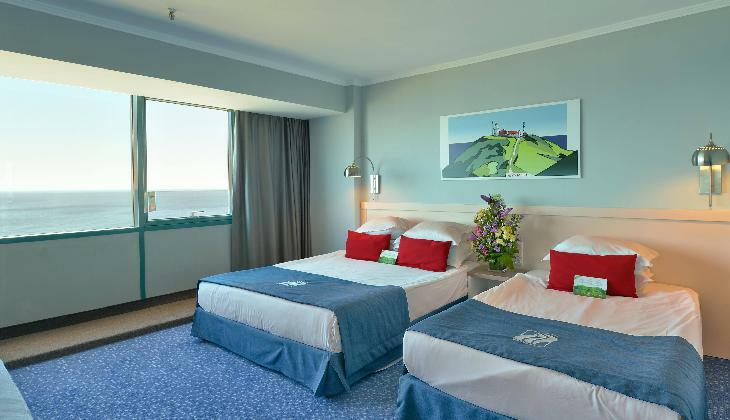 * This casino beach hotel comprises a total of 140 rooms, including double rooms, family rooms and suites. 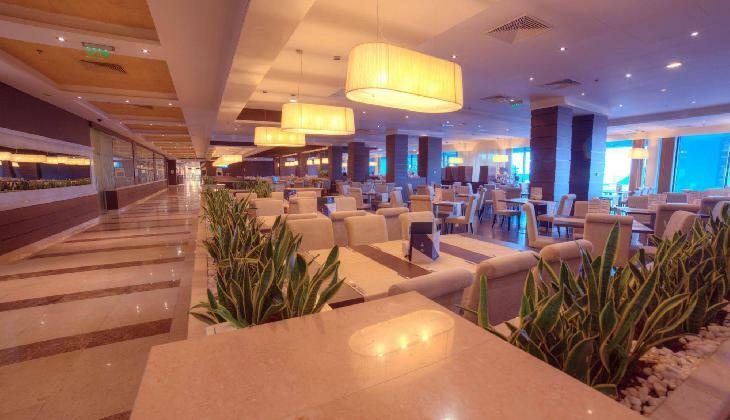 Especially for the guests of the Grand Casino International, there is the Casino Restaurant which offers lunch from 13:30 until 15:30. dinner from 22:00 until 00:00. 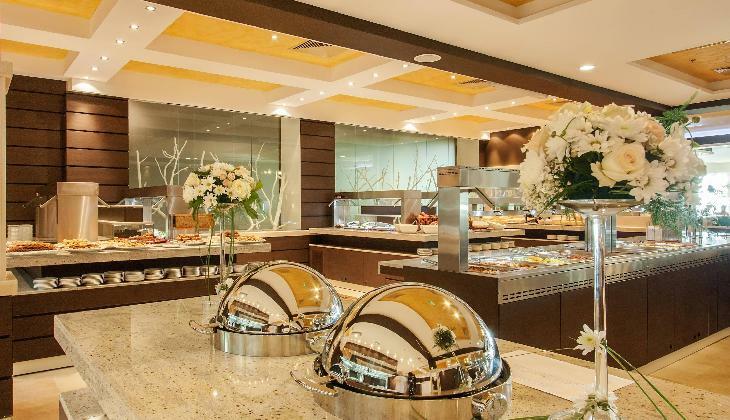 The international buffet with international dishes satisfies even the most discerning palate. 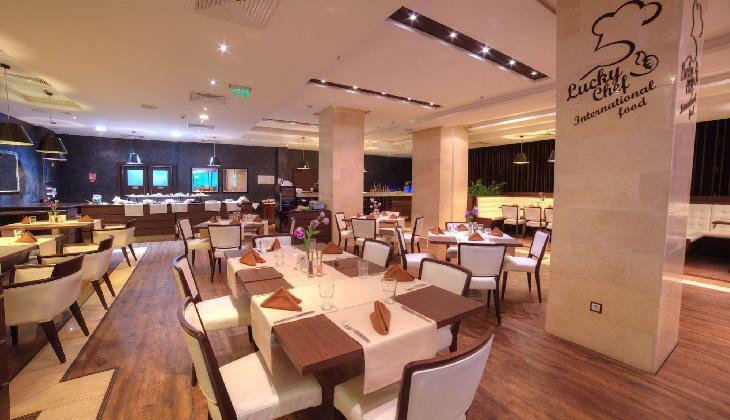 The A La Carte Restaurant gives all its guests the opportunity to taste specialities from all continents. There are 40 seats, remarkable service and a unique atmosphere. 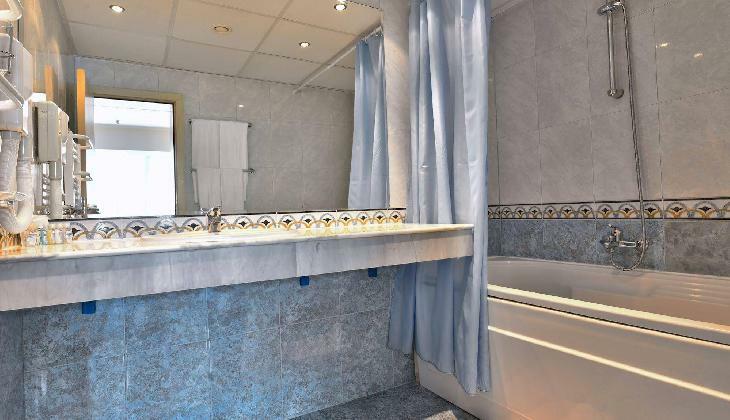 It’s our pleasure to invite you to a wonderful place with excellent service and fine specialities. The winery offers a wide selection of white, red and sparkling wines that will impress every guest. 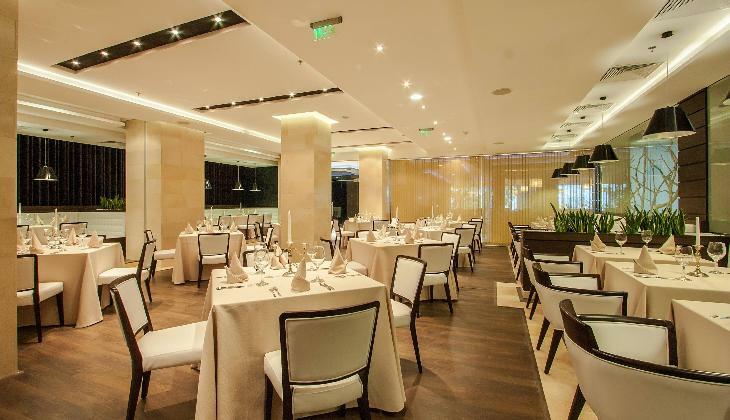 The comfortable and elegant restaurant has a capacity of 250 seats and offers a diversity of meals from the traditional Bulgarian and international cuisines, serving dishes from Europe and Asia. Various dietetic, vegetarian and flambeed meals, barbecue dishes, a variety of meat and fish dishes, as well as fine soft and alcoholic beverages are served. Grand Hotel & Casino International is the perfect choice for business meetings, conferences, company events, staff parties and team building events. It offers its clients the possibility to choose between a modernly equipped conference room with 20-70 seats or a hall with capacity of 400 and more seats, combined with modern technical support, professional service and worldwide communications. * The casino offers 19 table games, including roulette, black jack and poker, over 200 slot machines. 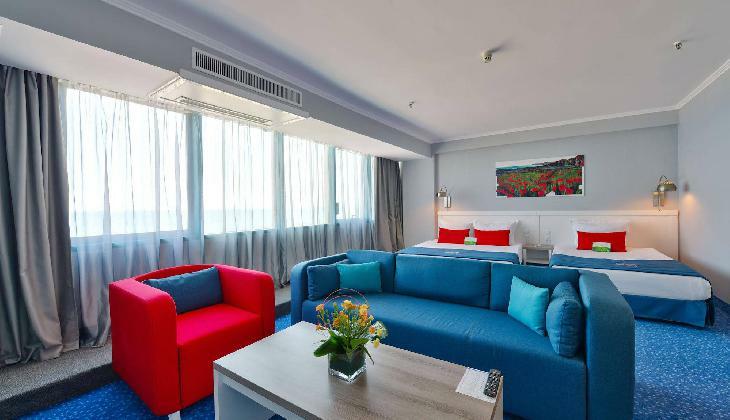 The 5-star Grand Hotel & Casino International is situated in the heart of Golden Sands, the most picturesque Bulgarian beach resort and an important international tourist destination, 15 km north of Varna. The newly renovated hotel has welcomed guests since 1969 and offers 140 comfortable and luxurious single and double rooms as well as suites. The Hotel Casino is the ideal place for relaxation during the summer season, but is also ideal for business meetings, conferences, company events etc. 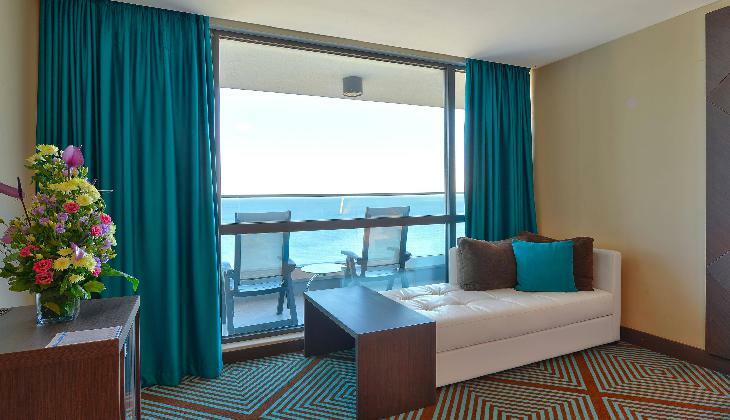 It offers several excellent restaurants and many sports and leisure activities for the whole family. 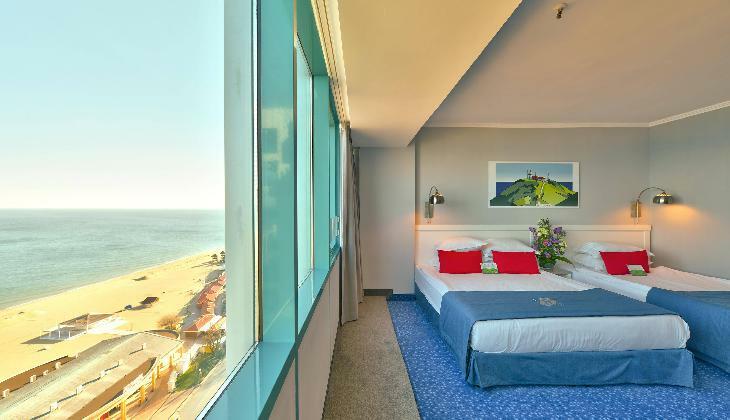 Grand Hotel - Casino International was fully renovated in 2001 and is located in the exact proximity of the beach, at the best central area of the resort.